Have you ever experienced how it feels to run while taking in the lovely autumn maple scenery of Korea? If it’s a yes, you would know how breathtaking it is. Join us at the Chuncheon Chosunilbo marathon in the beautiful Gangwon! Ki-Jung Sohn (1914-2002) won the gold medal at the 1936 Summer Olympics in the marathon while Korea was colonized by Japan. He ran the 42.195 kilometers course in 2 hours 29 minutes 19.2 seconds, breaking the Olympic record. His Korean teammate Nam Sung-yong took the bronze medal. Sohn sent the post card to his friend in Korea from Berlin. Short message saying “I am sad.” represents his sorrowfulness. Sohn refused to acknowledge the Japanese anthem while it was played at his award ceremony and later told reporters that he was ashamed to run for Japan. 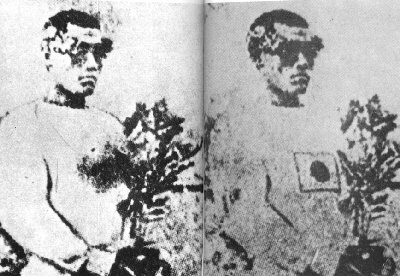 When the Dong-A ilbo, published a photograph of Sohn at the medal ceremony it altered the image to remove the Japanese flag from his running tunic. The act enraged the Japanese Governor-General of Korea Minami Jiro in Seoul and Kempetai military police imprisoned 8 people connected with the newspaper and suspended its publication for 9 months. In 1947, the Chosunilbo upgraded the Shortened Marathon to the Chosunilbo Marathon commemorating Ki-Jung Son’s World Victory. From then until now, excluding the period of the Korean War, the Chosunilbo Marathon has been a forerunner in record-breaking and produced great marathoners. Chuncheon Chosunilbo Marathon was born again International Marathon on October 28th, 1995. This was because for Korean marathon to reach out into the world and the future. Now that the top runners in the world are here to compete in the Chuncheon Chosunilbo International Marathon, making this race one that will continue to emphasize sportsmanship and the marathon spirit to all athletes and coaches. Do you want to know more about sports event in Korea? Click here! Come on over to Chuncheon at the midst of Autumn and enjoy the meaningful marathon together!